Hello ladies, germs, insects, whatever have you. I'm Enjolras, and was once called Judge Claude Frollo. I was a moderator on this site a long, long time ago. I'd like to tell you a little bit about that old site. I had a friend whose name was Jeremy. He was known as Satyrcynic on this forum, and he and I started a Slender Man video series. It's not too terribly great because we didn't get very far with it, so I'll spare you the details. 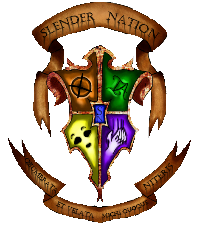 He discovered a fledgling forum over on Proboards, I believe, called The Slender Nation. He contacted the head administrator of the forum, known as the Doctor, and told him about our idea for a series on Slender Man, and he and I eventually joined the forum. A few months passed, there was a small security issue the details of which I don't recall, and Jeremy and I helped the Doctor sort it out. We were awarded the Global Moderator title for our service. I was proud to be a Mod on the forum, because it was my home; I felt like I know some of you feel now. A few more months passed. Everything was great. The forum was slowly gaining popularity, my friend Jeremy was running Slender Man RPs over the forum and had been promoted to Administrator (unless that was after we came to forumotion, I forget). Then we were given an opportunity to move to forumotion and be given our unique url, slendernation.com. It would redirect to the forum of course, but we thought it was pretty cool nonethless. So we moved to this site, and it was grand. I started running vampire hunter RPs, those were a blast. There was a sort of golden age once we moved. Everyone was happy. We'd picked up a lot of new members and things were going well. Life (for those who know her, I don't know what's happened lately) would write fanfiction, glorious, wonderful fanfiction about forum members in their online personas. I think I even still have a small excerpt of hers from a fanfic she wrote about Jeremy's war against EverymanHYBRID (that's a story you'll have to get from one of the oldbies). Everything was absolutely, 100% grand. And then Paragon showed up. While I was at school one day, this user, known only as Paragon, completely took over this forum and demoted every Admin and Mod. I'm pretty sure that was the last day I was a Mod here. We tried everything we could think of to get our forum back. Little did we know, we couldn't. Two of our own, The Doctor and my friend Jeremy, had planned this little ARG for the entertainment of the forum, with no intention of the members taking it as seriously as they did. I was guilty of that too, but what was I to do? One of the only places I was accepted seemed to be slipping away from me. It was revealed by Doc that the two admins were responsible for the Paragon incident, and one of our long-time members, Vivi, left because she felt so betrayed. At the time I didn't blame her, and I don't now, because as I said, it seemed our home was being taken from us. Things slowly went back to normal. 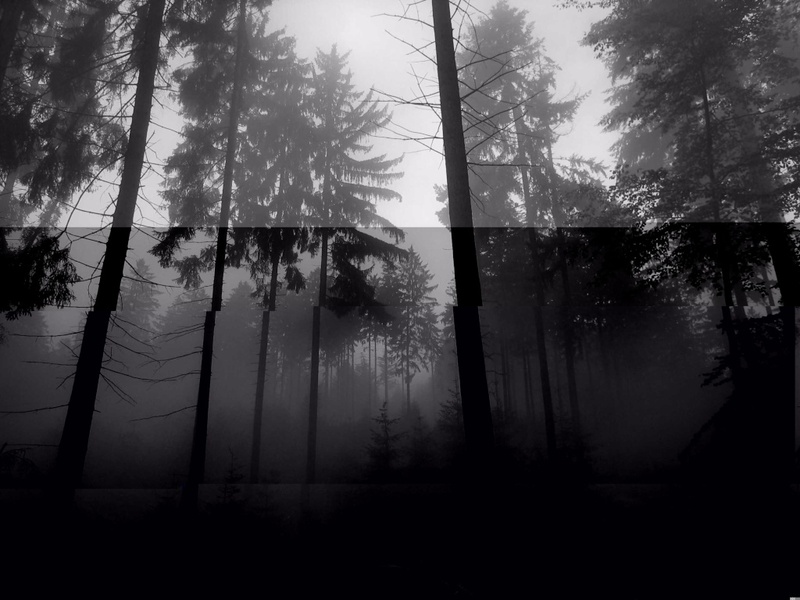 SlenderSkypes. Fanfics. RPs. Doc and I had horrifically bloody Yu-Gi-Oh! duels over Skype that, 99% of the time, I lost. But everything was good again and everyone was happy. I think that's about when I started becoming more occupied with school and band, so I slowly stopped visiting the site so much. When I hadn't been on in months was when the situation everyone on here is so butthurt about started. I don't know a lot about the situation because I wasn't present. Some background you need is that my friend Jeremy was the one who bought the url for the site in the first place. What I've been told by the people who threw Doc out is that Doc let his personal feelings for people get in the way of running this forum. They did what they thought was best when Doc wouldn't listen to reason: the contacted Jeremy, who by then had also not been on in a long time, and since he owned the site, he was able to oust Doc and set up a new system of administration. That's where my knowledge ends and my opinions begin. I can't make an accurate judgment about who was right or wrong in the ousting of the Doctor. "So you would take the world I love as recompense for your imagined slights?" Doc, I need you, for the friendship we once had, to read these coming words and, rather than block them out, chew on them and try to see this side of things. I liked you. As an admin, and as a friend. I genuinely liked you. And whenever I saw something that told me you weren't the best for this forum, I pushed it aside and put on my rose-colored glasses to see the person I wanted to see, because I thought so highly of you. But this... this is just too much. I haven't been on this forum in many, many months. I don't say these things for me. I say them for the admins and mods you got rid of on your return to this forum. I know that some people would have rejected any peaceful offer you made to return. But look at all they did in your absence. The made this forum so much more than it was before. They put so much time and effort into this site. To just rip that away, Doctor... You know how that feels. Offer them back their admin- and mod-ship. Tell them you genuinely want something good for this forum and that you want them to help you achieve that good. This can truly all be water under the bridge and you can have your old admins and mods back. You can return this forum to it's former glory. This forum can be Gallifrey, or the old Kingdom of Arnor, or the Old Republic again. Please don't rip all that away from them for something that happened so long ago. That is my plea to you. If you truly cannot see where I come from, I genuinely feel sorry for you, and for everyone who has been or is on this site. If you can't do what I implore you too, you can delete this account. Hell, you can delete it anyway, it's not like I've been using it. This forum shaped me, as I'm sure it will shape each and every one of you. Hello, and goodbye. I wish you all the best of luck here. Hello Kyle! It's been some time, old friend. I hope you're doing well, truly I do. I remember when you and Jeremy helped me out with the forum way back when. Those were good times everyone had. Though, as it always seems to do, times change. People grow and learn. I want you to know that I have been talking to Zander. I can provide evidence that says that we were working on a compromise to bring the staff back. However, they decided to turn that down and leave of their own volition. So, there we have it. I gave them an opportunity, and it was turned down. I wish you and I could talk some more and catch up, but I have a feeling that ship has sailed, unfortunately. I wish you all the best, Kyle. It's never too late, Doctor. You could make the offer once more. Second chances and all that jazz.